Newsletter with free research reports & market analysis. Get free stock picks of india's top proven investors like Rakesh Jhunjhunwala. Most personalized content on internet so you don't waste time. Refer your friends and relatives; start earning big commissions! Special offers on our premium products. Refer your friends and relatives & start earning big commissions! This week, the market witnessed profit booking above Nifty's 11K mark ahead of No-Confidence motion moved in the parliament. Also, Inflation continued to hit high but Q1 earnings from heavyweights like Bajaj Finance, Bajaj Finserv, Kotak Bank, HUL & Federal Bank helped the market to trade near 11K. IT companies continued to perform on back of good numbers & rupee depreciation which hit the all-time low. So next week Q1 earnings will continue & movement of rupee & oil price will be watched closely along with trade tariff war movements & US GDP data. 1. The benchmark indices started the week on a lower note as Sensex fell 282 points & Nifty below 10,950 as WPI inflation hit 4.5 years high. 2. Baring IT, all sectoral indices closed in red led by pharma, metal, realty, media & PSU bank, dipped 2-4%. Nifty midcap index underperformed frontliner, fell 2.57%. 3. On Tuesday, the market closed on positive as crude oil prices eased. As a result, Sensex rose 196 points while Nifty back above 11K mark. 4. Barring FMCG all sectoral indices closed higher led by banking & financials, metal, pharma, auto & realty, was up 1-4%. Nifty midcap index surged 2.5%. 5. On Wednesday, equity indices ended lower as government got the No-Confidence motion. Sensex fell 147 points while Nifty ended below 11K. 6. On Thursday, the market ended on a flat note ahead of No-Confidence vote as Sensex fell 22 points while Nifty able to hold 10,950. 7. On Friday, the market traded higher & Nifty held 10,950 led by IT & Reliance. - Baring Tuesday, Nifty midcap & smallcap continued to underperform the market due to lack of buying in stocks but some stock specific buying continued. Baring Nifty IT, banks and financials which rose over 1% all other sectoral indices ended lower under selling pressure. - Global market also traded with the mixed emotions as US president Trump continued to surprise the markets with his tweets. Apart from this, crude oil prices fell below $73 per barrel as oil production is expected to be higher. US financial data showed strong position whereas Chinas growth slowed down. Private sector lender Bandhan Bank on Wednesday reported a net profit of Rs.482 crore in the first quarter ending June, registering a jump of 47.5% on the back of higher total income. Its total income grew 38.54% YoY at Rs.1,766.86 cr. compared with Rs.1,275.32 crore during the same period of the last fiscal. Buoyed by the surge in quarterly profit, the banks scrip surged nearly 20% this week. The PC Jeweller stock tanked over 40% this week after the firm said it has withdrawn offer related to the buyback of equity shares. The firm in an intimation to bourses said, "This is with reference to our earlier intimation dated May 10, 2018, regarding the board approval for the buyback of equity shares. However, in view of the non-receipt of the requisite NOC from the company's bankers, the board of directors at its meeting held today has decided to withdraw the aforesaid buyback offer with immediate effect. India will continue to be the fastest growing major economy, ahead of China, with a growth rate of 7.3% in 2018-19 & 7.6% in 2019-20, Asian Development Bank said on Thursday. The growth in India will be driven by increased public spending, higher capacity utilisation rate and an uptick in private investment, said its supplement to the Asian Development Outlook. ADB said India is the dominant economy in the South Asia sub-region with its growth gaining momentum at 7.7% in the last quarter ended March of 2017-18, the highest rate of growth since the first quarter of 2016-17. India's wholesale inflation grew 5.77% in June driven by some food items and fuel prices, latest price data released by the commerce and industry ministry showed. WPI witnessed a growth of 4.43% in May and 0.90% in June 2017. The wholesale inflation rate, measured by Wholesale Price Index, is a marker for price movements in bulk buys for traders and broadly mirrors trends in shop-end prices. The data for the month of April has been revised to 3.62% from 3.18% earlier. GST Council Meeting will be on 21st July 2018. Indias Forex Reserve data will be on 27th July 2018. Q1 FY19 Result:- HDFC Bank, ACC, Asian Paints, Colgate-Palmolive, United Spirits, Hindustan Zinc, ICICI Pru, Hexaware, Bharat Financial, Granules. Global:- US Manufacturing PMI & Services PMI (July) data will be on 24th July 2018. GDP data for Q2 (QoQ) data will be on 27th July 2018. Bajaj Finserv Ltd. is on the upside while Sagar Cement Ltd. is on the downside. The Benchmark indices started on a strong note as Sensex rose 200 points & Nifty above the 11,050 mark. The equity market maintained uptrend as Sensex was up over 100 points while Nifty above 11,050. Nifty metal & PSU bank index fell over 1% while IT, private bank, NBFCs & auto supported the market. Nifty midcap index underperformed frontline indices, fell over half a percent. In the afternoon session, the market turned negative as Sensex fell 100 points while Nifty slipped below 11.000. Baring financial services all other sectoral indices traded in negative led by metal, realty, auto, FMCG, pharma & PSU bank, fell .6%-2%. Nifty midcap index underperformed frontliners, was down 170 points. In the last hour of trade, selling continued in the market as Sensex was down 130 points while Nifty struggled below 11,000. The market ended on a lower note due to selling pressure. In the sectoral indices, major cuts seen in metal, realty, auto, FMCG & banking while IT index was the only sectoral index gainer. Nifty midcap index underperformed frontline indices on todays trade, dipped 1.05%. Sensex closed 146.52 points down at 36,373.44, Nifty down by 27.60 points at 10,980.45. IBULHSGFIN by 4.03% to Rs.1,199.05, ONGC by 2.66% to Rs.160.30, BPCL by 2.25% to Rs.401.50, HindPetro by 1.78%to Rs.286.30, IOC by 1.61% to Rs.167.10. Tata Steel by -5.33% to Rs.504,00, Hindalco by -3.01% to Rs.212.90, VEDL by -2.95% to Rs.203.90, UPL by -2.54% to Rs.556.50, Tata Motors by -2.48% to Rs.251.55. Indiabulls Housing Finance is the top gainer in today's market as strong buying was seen in the stock. The company will report its Q1 Fy18-19 result on 2nd August 2018, which expected to be in a better side. Tata Steel is the top loser in today's market as strong selling continued to witnessed in metal & steel stocks due to fear of trade war tension between Us & China where US growth looked better but China slowed down. U.S. factory production rebounded in June by the most in four months as the industry regained its footing after a fire-related disruption at an auto parts supplier, Federal Reserve data showed Tuesday. Factory output rose 0.8% (est. 0.7% gain) after falling a revised 1% (prev. 0.7% drop). Total industrial production, which also includes mines and utilities, increased 0.6% (est. 0.5% rise) after a revised 0.5% decrease. The finance ministry on Tuesday approved an infusion of Rs.11,336 crore in five state-owned lenders including PNB, Corporation Bank and Andhra Bank to help them meet the regulatory capital requirement, sources said. This is the first ever capital infusion in the current fiscal and the remaining amount of Rs.53,664 crore would be disbursed during the course of the year. These banks have come under pressure because of interest paid to their bondholders of Additional Tier 1 (AT-1) bonds, the sources said. Bandhan Bank Ltd. is on the upside while Ashok Leyland Ltd. is on the downside. Bandhan Bank is currently trading at Rs.599.00, up by Rs.36.25 or 6.44% from its previous closing of Rs.562.75 on the NSE. The scrip opened at Rs.564.00 & has touched a high & low of Rs.607.70 and Rs.564.00 respectively. So far 55,18,147 (NSE) shares were traded on the counter. The current market cap of the company is Rs.71,586.19 Crore. The NSE/BSE group stock has touched a 52 week high of Rs.607.70 on 18-July-2018 & a 52 week low of Rs.455 on 27-March-2018. Ashok Leyland is currently trading at Rs.110.45, down by Rs.18.10 or 14.08% from its previous closing of Rs.128.55 on the NSE. The scrip opened at Rs.129.75 & has touched a high and low of Rs.129.75 & Rs.109.30 respectively. So far 12,33,56,257 (NSE) shares were traded on the counter. The current market cap of the company is Rs.32,462.51 Crore. The BSE/NSE group stock has touched a 52 week high of Rs.167.50 on 08-May-2018 and a 52 week low of Rs.98.60 on 11-August-2017. The Benchmark indices started on a flat note as Sensex was down 25 points & Nifty started below 10,950. The equity market traded higher after flat opening as Sensex rose 50 points while Nifty above 10,950. Barring FMCG all other sectoral indices traded in green led by banking & financial, pharma & auto. Nifty midcap index outperformed frontline indices, was up nearly 1%. In the afternoon session market continued to trade higher as Sensex rose 80 points & Nifty traded above 10,950. Except for FMCG all other sectoral indices traded in green led by banking & financials, metal, pharma, media, auto & OMCs. The nifty midcap index continued to outperform frontliners, rose over 1.5%. In the last hour of trade, the market witnessed strong buying as Sensex surged 200 points while Nifty traded above 11K. The market closed on a positive note. Barring FMCG all sectoral indices closed higher led by banking & financials, metal, pharma, auto, media & realty, was up 1-4%. Nifty midcap index outperformed frontline indices on todays trade, surged 2.5%. Sensex closed 196.19 points up at 36,519.96, Nifty up by 71.20 points at 11,008.05. HindPetro by 7.15% to Rs.283.25, IOC by 4.89% to Rs.165.20, BPCL by 3.07% to Rs.393.95, Hindalco by 3.03%to Rs.219.50, Axis Bank by 3.01% to Rs.537.80. Hindustan Unilever by -3.61% to Rs.1,688, Bharti Airtel by -1.40% to Rs.342.55, Dr. Reddy by -1.14% to Rs.2,070, Tech Mahindra by -1.11% to Rs.650.00, Eicher Motors by -1.00% to Rs.27,149.80. Hindustan Petroleum is the top gainer in today's market as oil prices fell for a 2nd day on Tuesday as worries about possible disruptions to supply eased & as investors focused on potential damage to global growth from the festering Sino-US trade spat. The Brent crude traded near $72 a barrel today. Hindustan Unilever is the top loser in today's market after the company reported its quarterly result yesterday. Numbers were in line with expectations as revenue grew by 11.2%, Net profit rose 19.2% while volume growth stood at 12%. The International Monetary Fund (IMF) has cut Indias GDP growth forecast by 10 basis points to 7.3% in the year 2019 and by 30 basis points to 7.5% in 2020, as the international body expects the central bank to tighten the monetary policy faster. The IMF said that rising oil prices, which have hit local demand coupled with fears of trade war could impact Indias GDP growth in both years. Anticipating inflationary risks, the Reserve Bank of India, in its June Monetary Policy meeting, hiked the repo rate by 25 bps to 6.25% for the first time in four-and-a-half years. US retail sales rose solidly in June as household boosted purchases of automobiles and a range of other goods, cementing expectations for robust economic growth in the second quarter, Reuters reported. The Commerce Department said on Monday retail sales increased 0.5% last month while data for May was revised to show sales rising 1.3%, the largest since September 2017, the report suggested. The Benchmark indices began the day on a flat note as Sensex was down 30 points & Nifty fell 18 points. The equity market slipped further as Sensex fell 60 points while Nifty slipped below 11K. Baring IT & FMCG all sectoral indices traded in red led by Pharma, metal, realty, banking & financials fell 0.5% to 3%. Nifty midcap index underperformed frontliners, was down over 1.5%. In the afternoon session, the market continued the downward trend as Sensex was down 50 points while Nifty below 11K. Nifty IT & FMCG remained in green while all other sectoral indices traded in red with pharma, metal, realty, media, banking & financial fell 0.6% to 3.40%. Nifty midcap index was down 305 points. In the last hour of trade, the market extended losses as Sensex tumbled over 200 points while Nifty slipped below 10,950. The market ended lower on sharp selloff. Baring IT, all sectoral indices closed in red led by pharma, metal, realty, media & PSU bank, dipped 2-4%. Nifty midcap index continued to underperformed frontline indices, fell 2.57%. Sensex closed 282.48 points down 217.86 at 36,323.77, Nifty down by 82.05 points at 10,936.85. Tech Mahindra by 2.58% to Rs.657.60, NTPC by 1.44% to Rs.155.15, Infosys by 1.41% to Rs.1,336, Yes Bank by 1.01%to Rs.379.80, Hindustan Unilever by 0.99% to Rs.1,759.95. Dr. Reddy by -9.43% to Rs.2,083, Tata Steel by -7.12% to Rs.518.85, Lupin by -5.73% to Rs.816.00, Sun Pharma by -4.62% to Rs.533.90, Tata Motors by -4.02% to Rs.253.00. Tech Mahindra is the top gainer in today's market as some sort of a buying was seen in the stock ahead of Q1 FY19 earnings. Dr Reddy is the top loser in today's market after the New Jersey District Court converted a temporary injunction into a preliminary injunction against the company that prevents it from launching generic Suboxone in the US market until patent litigation related to US Patent No. 9,931,305 is concluded. India's wholesale inflation grew 5.77% in June driven by some food items and fuel prices, latest price data released by the commerce and industry ministry showed. WPI witnessed a growth of 4.43% in May and 0.90% in June 2017. Wholesale inflation rate, measured by Wholesale Price Index, is a marker for price movements in bulk buys for traders and broadly mirrors trends in shop-end prices. The data for the month of April has been revised to 3.62% from 3.18% earlier. Chinas economy expanded at a slower pace in the second quarter as Beijings efforts to contain debt hurt activity, while June factory output growth weakened to a 2 year low in a worrying sign for investment and exporters as a trade war with the US intensified. The worlds second-largest economy grew 6.7% in the last quarter year-on-year - matching expectations & looks set to meet the official 2018 growth target of around 6.5%, though the trade row with Washington, a slowing property market and lower shipments have sharply increased the risks to the outlook. Indraprastha Gas Ltd. is on the upside while DCB Bank Ltd. is on the downside. IGL is currently trading at Rs.263.70, up by Rs.10.80 or 4.27% from its previous closing of Rs.252.90 on the NSE. The scrip opened at Rs.253.90 & has touched a high & low of Rs.264.50 and Rs.252.35 respectively. So far 53,20,621 (NSE) shares were traded on the counter. The current market cap of the company is Rs.18,410.02 Crore. The NSE/BSE group stock has touched a 52 week high of Rs.344.90 on 01-January-2018 & a 52 week low of Rs.222.82 on 14-July-2017. DCB Bank is currently trading at Rs.159.60, down by Rs.19.70 or 10.99% from its previous closing of Rs.179.30 on the NSE. The scrip opened at Rs.176.00 & has touched a high and low of Rs.176.00 & Rs.159.25 respectively. So far 1,03,42,053 (NSE) shares were traded on the counter. The current market cap of the company is Rs.4,988.93 Crore. The BSE/NSE group stock has touched a 52 week high of Rs.206.50 on 09-January-2018 and a 52 week low of Rs.155.05 on 08-March-2018. The Benchmark indices began on a green note as Sensex hit all-time high level as it rose 200 points & Nifty reclaimed the 11,000 mark. The equity market extended gains as Sensex surged over 300 points while Nifty back above 11,050. Baring IT & media all sectoral indices traded in green led banking & financials, metal, pharma & auto. The Nifty midcap index also traded in line with indices, surged 0.80%. In the afternoon session, the market was off days high as Sensex was up over 300 points while Nifty held the 11,000 mark. The Nifty Midcap index saw some cooling off from the days high points, was down half a percent, while banking & financials, energy, and pharmaceuticals were the top gainers. In the last hour of trade, the market continued to trade higher as Sensex was up 320 points while Nifty above 11,000 mark. The market closed the session on a strong note. Banking & financials, FMCG & Reliance led the rally while realty, auto, media & metal capped gains. Nifty midcap index underperformed the market, fell 81 points. Sensex closed 282.48 points up at 36,548.41, Nifty up by 74.90 points at 11,023.20. Reliance by 4.05% to Rs.1,080.90, BPCL by 2.89% to Rs.377.10, Bajaj Finance by 2.62% to Rs.2,417.20, Wipro by 2.46%to Rs.278.80, Bajaj Finserv by 2.40% to Rs.6,261. UPL by -4.21% to Rs.578.05, VEDL by -2.87% to Rs.211.85, Bajaj Auto by -2.04% to Rs.3,097.15, Infosys by -1.97% to Rs.1,295, Grasim by -1.82% to Rs.961.00. Reliance is the top gainer in today's market as many international brokerages have given a thumbs up to the stock. Companys market cap. crossed $100 billion in todays trade & become second Indian company after TCS. UPL is the top loser in today's market as strong selling pressure continued in the stock. Chinese and U.S. officials have raised the prospect of resuming talks over trade between the two nations after President Donald Trump ratcheted up the pressure by announcing a huge new round of potential tariffs. After the U.S. unveiled a list of Chinese imports worth $200 billion that could face higher duties, Chinas Vice Minister of Commerce Wang Shouwen said: when we have a trade problem, we should talk about it. While that came amid fresh threats of retaliation from Beijing, it matches some willingness from the Trump team to resume talks at a high level, according to a person familiar with the administrations thinking. India has become the world's sixth-biggest economy, pushing France into seventh place, according to updated World Bank figures for 2017. India's gross domestic product (GDP) amounted to $2.597 trillion at the end of last year, against $2.582 trillion for France. India's economy rebounded strongly from July 2017. India, with around 1.34 billion inhabitants, is poised to become the world's most populous nation, whereas the French population stands at 67 million. This means that India's per capita GDP continues to amount to just a fraction of that of France which is still roughly 20 times higher, according to World Bank figures. Balrampur Chini Mills Ltd. is on the upside while 8K Miles Software Services Ltd. is on the downside. Balrampur Chini is currently trading at Rs.68.65, up by Rs.4.35 or 6.77% from its previous closing of Rs.64.30 on the NSE. The scrip opened at Rs.64.20 & has touched a high & low of Rs.68.90 and Rs.63.90 respectively. So far 1,05,43,383 (NSE) shares were traded on the counter. The current market cap of the company is Rs.1,587.58 Crore. The NSE/BSE group stock has touched a 52 week high of Rs.182.50 on 13-September-2017 & a 52 week low of Rs.58.70 on 16-May-2018. 8K Miles is currently trading at Rs.340.80, down by Rs.37.85 or 10.00% from its previous closing of Rs.378.65 on the NSE. The scrip opened at Rs.378.90 & has touched a high and low of Rs.382.40 & Rs.340.80 respectively. So far 13,08,183 (NSE) shares were traded on the counter. The current market cap of the company is Rs.1,041.11 Crore. The BSE/NSE group stock has touched a 52 week high of Rs.1,029.95 on 29-November-2017 and a 52 week low of Rs.313.80 on 03-July-2018. The Benchmark indices began the day on a flat note as Sensex held 36K & Nifty near 10,950 led by TCS. The equity market continued to trade flat as Sensex was down 10 points while Nifty below 10,950. Nifty IT index surged over 1% followed by FMCG & realty while metal & PSU bank fell 1-2%. Nifty midcap index also witnessed selling pressure, was down 70 points. In the afternoon session, the market extended gains from flat as Sensex rose over 50 points while Nifty above 10,950. On sectorial indices front, selling pressure in PSU banks, metals and auto names, while IT stocks continued to stand tall. The Nifty midcap index is down around 0.40 percent. In the last hour of trade, the market continued to trade higher Sensex rose nearly 100 points while Nifty hold above 10,950 levels. The market remained choppy but ended with slight gains. Nifty IT index rose over 2% while metal fell over 3% followed by PSU bank, auto & pharma space. Nifty midcap index underperformed the market, dipped half a percent on weak market breadth. Sensex closed 26.31 points up at 36,265.93, Nifty up by 1.05 points at 10,948.30. TCS by 5.06% to Rs.1,970, Infratel by 3.18% to Rs.315.00, Bajaj Auto by 2.43% to Rs.3,169, Hindustan Unilever by 1.83%to Rs.1,717.90, Reliance by 1.39% to Rs.1,040. UPL by -5.40% to Rs.602.70, Coal India by -4.67% to Rs.265.45, Hindalco by -3.67% to Rs.220.65, VEDL by -3.47% to Rs.218.20, Tata Motors by -2.78% to Rs.267.80. TCS is the top gainer in today's market as the company profit grew 6.3% & revenue 6.8% sequentially, backed by recovery in banking vertical and maintaining momentum in industry verticals. UPL is the top loser in today's market as strong selling pressure continues despite Deutsche Bank maintained buy rating with 40% upside. The Trump administration raised the stakes in its trade war with China on Tuesday, saying it would slap 10% tariffs on an extra $200 billion worth of Chinese imports. The administration released a wide-ranging list of Chinese goods it proposes be hit with tariffs, including hundreds of food products as well as tobacco, coal, chemicals and tires, dog and cat food, and consumer electronics including TV. components. Last week, Washington imposed 25% tariffs on $34 billion of Chinese imports, and Beijing responded immediately with matching tariffs on the same amount of U.S. exports to China. Tata Consultancy Services Ltd.s profit grew more than estimated as its North America business bounced back and recovery in its banking vertical continued. Net profit rose 6.3 percent sequentially to Rs.7,340 crore for the quarter ended June, TCS said in its filing with the stock exchanges. The bottom line surpassed the Rs.6,957 crore consensus estimate of analysts tracked by Bloomberg. Adani Enterprises Ltd. is on the upside while Sterlite Technologies Ltd. is on the downside. Adani Enterprises is currently trading at Rs.123.80, up by Rs.9.70 or 8.50% from its previous closing of Rs.114.10 on the NSE. The scrip opened at Rs.114.50 & has touched a high & low of Rs.125.50 and Rs.114.10 respectively. So far 2,65,82,477 (NSE) shares were traded on the counter. The current market cap of the company is Rs.13,632.15 Crore. The NSE/BSE group stock has touched a 52 week high of Rs.223.50 on 14-February-2018 & a 52 week low of Rs.100.85 on 02-July-2018. Sterlite Tech. is currently trading at Rs.308.10, down by Rs.19.15 or 5.85% from its previous closing of Rs.327.25 on the NSE. The scrip opened at Rs.329.35 & has touched a high and low of Rs.332.00 & Rs.306.10 respectively. So far 24,62,787 (NSE) shares were traded on the counter. The current market cap of the company is Rs.12,460.00 Crore. The BSE/NSE group stock has touched a 52 week high of Rs.415.00 on 24-January-2018 and a 52 week low of Rs.154.85 on 10-July-2017. The Benchmark indices started on a strong note as Sensex jumped 250 points & Nifty reclaimed 10,800 led by heavy weights. The equity market continued to trade strong as Sensex rose nearly 200 points while Nifty above 10,800. All sectoral indices traded in green led by metal, pharma, auto, bank, IT & FMCG. Nifty midcap index outperformed frontliners, surged over 1%. In the afternoon session, the market rallied further as Sensex surged over 250 points while Nifty topped 10,850. All sectoral indices were traded in the green with Metal, Pharma, Bank and Auto gained 1-1.5% followed by Realty, FMCG, IT. Nifty midcap index continued to outperformed indices, rose 1.30%. In the last hour of trade, the market remained strong as Sensex rose nearly 300 points while Nifty hold above 10,850 levels. The market ended at 5-months high amid positive Asian market rally. All sectoral indices closed in green led by metal, pharma, banking & financials, auto, FMCG & IT, rose 0.5-1.5%. Nifty midcap index outperformed market, surged 1.60% on strong market breadth. Sensex closed 276.86 points up at 35,934.72, Nifty up by 80.25 points at 10,852.90. Asian Paint by 3.00% to Rs.1,362.80, Yes Bank by 2.91% to Rs.362.85, Dr. Reddy by 2.69% to Rs.2,330.10, VEDL by 2.69%to Rs.225.00, HCL Tech by 2.02% to Rs.963.00. ULTRACEMCO by -1.57% to Rs.3,892.10, TCS by -1.50% to Rs.1,884.20, Titan by -1.16% to Rs.820.00, HDFC by -0.60% to Rs.1,905.40, Hero Motocorp by -0.55% to Rs.3,616.95. Asian Paints is the top gainer in today's market on the back of heavy volume. Board will consider first quarterly result on 24th July 2018. Ultratech Cement is the top loser in today's market as some short of selling pressure was seen in the stock. US adds 213,000 jobs in June, better than expected, but wage growth is light. The employment part of the economy continued to power forward in June, adding another 213,000 jobs though the unemployment rate rose to 4%, according to a government report Friday. Economists surveyed by Reuters had expected a nonfarm payrolls gain of 195,000 and the jobless rate to hold steady at 3.8%, which had been tied for the lowest since 1969. Another solid month of job gains provided little help to wages. In addition to the payroll gains, average hourly earnings rose 2.7% year over year, a bit below expectations of a 2.8% increase. Cyrus Mistry lost the legal battle against Tata Sons Ltd. as the company law tribunal rejected all his allegations and ruled that the parent of Indias largest conglomerate had the right to remove him as its chairman. The NCLT found no merit in Mistrys allegations of operational mismanagement and oppression of minority shareholder. The court also found no merit in Mistrys argument that Ratan Tata and Tata Sons trustee NA Soonawala interfered in the governance of Tata Sons, according to the bench headed who had heard both the parties for nearly 4 months between October and February. Hexaware Ltd. is on the upside while AU Small Finance Bank Ltd. is on the downside. Hexaware is currently trading at Rs.553.80, up by Rs.103.45 or 22.97% from its previous closing of Rs.450.35 on the NSE. The scrip opened at Rs.450.35 & has touched a high & low of Rs.557.70 and Rs.449.45 respectively. So far 67,47,445 (NSE) shares were traded on the counter. The current market cap of the company is Rs.15,107.98 Crore. The NSE/BSE group stock has touched a 52 week high of Rs.557.70 on 09-July-2018 & a 52 week low of Rs.206.00 on 07-July-2017. AUBank is currently trading at Rs.634.70, down by Rs.44.65 or 6.57% from its previous closing of Rs.679.35 on the NSE. The scrip opened at Rs.664.80 & has touched a high and low of Rs.664.80 & Rs.629.00 respectively. So far 10,83,555 (NSE) shares were traded on the counter. The current market cap of the company is Rs.18,253.60 Crore. The BSE/NSE group stock has touched a 52 week high of Rs.748.40 on 27-April-2018 and a 52 week low of Rs.496.25 on 07-August-2017. The Benchmark indices started flat amid weak Asian cues as Sensex fell 5 points & Nifty held 10,750. The equity market extended losses as Sensex was down 50 points while Nifty hovered around 10,750. In Nifty, private banks, NBFCs and FMCG index traded in green while IT, metal, realty & auto traded in the red. Nifty midcap index also traded lower, was down 75 points. In afternoon the session, the market continued to trade lower as Sensex fell over 50 points while Nifty hold 10,750. Nifty IT, metal & realty was down over 15 while FMCG rose 1% followed by Pvt. banks & financials capped the losses. Nifty midcap index underperformed the market, fell nearly half a percent. In the last hour of trade, the market continued to be rangebound as Sensex was down 100 points while Nifty below 10,750. The market remained choppy but ended marginally lower. FMCG, Pvt. bank supported the market while Reliance, IT, metal, pharma & realty stocks dragged the market. Nifty midcap index underperformed frontliners closed 128 points lower. Sensex closed 70.85 points down at 35,574.55, Nifty down by 20.15 points at 10,749.75. Yes Bank by 3.89% to Rs.348.60, ULTRACEMCO by 3.86% to Rs.3,936.85, ITC by 3.16% to Rs.272.75, Asian Paint by 2.65%to Rs.1,324, Coal India by 2.61% to Rs.271.25. Titan by -5.70% to Rs.836.00, Infosys by -4.36% to Rs.1,286.50, VEDL by -3.88% to Rs.219.20, Reliance by -2.57% to Rs.964.65, Sun Pharma by -2% to Rs.567.70. Yes Bank is the top gainer in today's market as bank received a final approval from SEBI to start its mutual fund business after RBIs clearance. Titan is the top loser in today's market after the company said its jewellery sales were impacted due to a decline in gold imports in June. China, UAE, Cyprus and significantly, Mauritius, along with 21 other countries have been tagged as high-risk jurisdictions by global banks acting as custodians for foreign funds which comprise the largest group of investors in the Indian stock market. Large investors and beneficial owners of these funds entering India through these high-risk jurisdictions will face close scrutiny while NRIs and persons of Indian origin will run in. The United States is "opening fire" on the world with its threatened tariffs, the Chinese government warned on Thursday, saying Beijing will respond the instant US measures go into effect as the two locked horns in a bitter trade war. The Trump administration's tariffs on $34 billion of Chinese imports are due to go into effect from Friday. US President Donald Trump has threatened to escalate the trade conflict with tariffs on as much as a total of $450 billion in Chinese goods if Beijing retaliates, with the row roiling financial markets including stocks, currencies and global trade of commodities from soybeans to coal. GATI Ltd. is on the upside while IDBI Bank Ltd. is on the downside. GATI is currently trading at Rs.84.90, up by Rs.6.30 or 8.02% from its previous closing of Rs.78.60 on the NSE. The scrip opened at Rs.78.80 & has touched a high & low of Rs.85.40 and Rs.78.80 respectively. So far 25,59,567 (NSE) shares were traded on the counter. The current market cap of the company is Rs.911.57 Crore. The NSE/BSE group stock has touched a 52 week high of Rs.154.45 on 17-January-2018 & a 52 week low of Rs.73.25 on 28-June-2018. IDBI Bank is currently trading at Rs.47.55, down by Rs.4.20 or 8.12% from its previous closing of Rs.51.75 on the NSE. The scrip opened at Rs.52.00 & has touched a high and low of Rs.52.20 & Rs.47.00 respectively. So far 2,32,35,615 (NSE) shares were traded on the counter. The current market cap of the company is Rs.20,132.43 Crore. The BSE/NSE group stock has touched a 52 week high of Rs.91.50 on 05-March-2018 and a 52 week low of Rs.47.00 on 05-July-2018. The Benchmark indices opened flat as investors await June quarter earnings with Sensex rose 30 points & Nifty hold 10,700. The equity market stayed rangebound as Sensex was up 30 points while Nifty above 10,700. Reliance, pharma, some bank & auto stocks supported market while IT, PSU bank & realty stock traded lower. Nifty midcap index traded lower, was down 35 points. In afternoon session market extended gains as Sensex rose over 150 points while Nifty near 10,750 despite correction in global market. Pvt. bank & financial, auto, pharma, Reliance led the rally while IT, media & PSU bank traded under pressure. Nifty midcap index underperformed market, was down 47 points. In last hour of trade market rallied further as Sensex surged over 250 points while Nifty back above 10,750 levels. The market closed on a strong note led by Govt. clearance of MSP. Baring IT, media & PSU bank all sectoral indices closed in green led by auto, banking, financial & pharma while Nifty midcap index gained 26 points. Sensex closed 266.80 points up at 35,645.40, Nifty up by 70 points at 10,769.90. Bajaj Auto by 4.42% to Rs.2,988.80, Lupin by 3.86% to Rs.938.00, Maruti Suzuki by 2.78% to Rs.9,224.95, Bajaj Finserv by 2.55%to Rs.6,035, HDFC by 2.30% to Rs.1,922.85. HindPetro by -2.59% to Rs.252.15, Grasim by -2.01% to Rs.966.00, Cipla by -1.98% to Rs.627.75, NTPC by -1.58% to Rs.152.55, VEDL by -1.32% to Rs.228.00. Bajaj Auto is the top gainer in today's market after the companys total sales grew 65% YoY at 404,429 units in June 2018, due to strong domestic performance in 2W and 3W segment led by new launches and healthy export 3W sales. HindPetro is the top loser in today's market as crude oil prices remained higher due to uncertainty over production capacity. Activity in India's service industry rebounded in June from a mild contraction the prior month, a private survey showed, expanding at its quickest pace in a year on the back of a surge in new business orders. The Nikkei/IHS Markit Services Purchasing Managers' Index climbed to 52.6 last month, its highest since June 2017, from 49.6 in May. The 50-mark separates growth from contraction. The recovery in services firms' activity, along with a robust pace of manufacturing growth reported on Monday lifted the composite PMI to 53.3, its highest level since October 2016. The Union Cabinet on Wednesday approved the proposal to hike the Minimum Support Price (MSP) for Kharif crops, which was made in the Budget 2018 by Finance Minister Arun Jaitley. The MSP for paddy has been raised by around Rs.250 per quintal. The hike in MSP is one of the measures taken by the Narendra Modi government to end farmers woes in the country. In the Budget, the govt. proposed to hike MSP to one-and-half times of the procurement cost. Kiri Industries Ltd. is on the upside while Shriram Transport Finance Company Ltd. is on the downside. Kiri Industries is currently trading at Rs.639.00, up by Rs.62.05 or 10.75% from its previous closing of Rs.576.95 on the NSE. The scrip opened at Rs.675.00 & has touched a high & low of Rs.682.35 and Rs.615.55 respectively. So far 26,99,461 (NSE) shares were traded on the counter. The current market cap of the company is Rs.2,012.21 Crore. The NSE/BSE group stock has touched a 52 week high of Rs.682.35 on 04-July-2018 & a 52 week low of Rs.230.00 on 11-August-2017. Shriram Transport Finance is currently trading at Rs.1,145, down by Rs.152.00 or 11.72% from its previous closing of Rs.1,297 on the NSE. The scrip opened at Rs.1,224.05 & has touched a high and low of Rs.1,224.05 & Rs.1,048 respectively. So far 1,83,92,412 (NSE) shares were traded on the counter. The current market cap of the company is Rs.25,976.82 Crore. The BSE/NSE group stock has touched a 52 week high of Rs.1,668.75 on 27-April-2018 and a 52 week low of Rs.917.70 on 10-August-2017. The Benchmark indices opened flat despite weakness in Asian peers with Sensex fell 40 points & Nifty tested 10,650. The equity market gained strength as Sensex rose around 150 points while Nifty reclaimed 10,700. Nifty Auto, Pharma, IT & stocks like Reliance, HDFC bank led the rally. Nifty midcap index outperformed market, rose nearly half a percent. In afternoon session market continued to hold gains as Sensex rose nearly 100 points while Nifty near 10,700 followed further recovery in Chinas & positive start in European market. Nifty pharma, IT , auto & Reliance hold the market while banks & pharma capped the gains. Nifty midcap index was up 0.38%. In last hour of trade market continued to trade higher as Sensex rose 120 points & Nifty hovered around 10,700. The market ended higher as Global markets stage recovery. Nifty Nifty pharma, IT , auto & FMCG supported the market while metal & banking stocks capped gains. Nifty midcap index closed 166 points higher. Sensex closed 114.19 points up at 35,378.60, Nifty up by 42.60 points at 10,699.90. Cipla by 4.21% to Rs.643.00, Bajaj Finserv by 2.06% to Rs.5,897.55, Maruti Suzuki by 1.90% to Rs.8,988.75, Lupin by 1.87%to Rs.906.10, Sun Pharma by 1.69% to Rs.572.65. VEDL by -3.69% to Rs.231.00, Infratel by -2.48% to Rs.291.50, ICICI Bank by -1.50% to Rs.273.25, HDFC by -0.79% to Rs.1,882.05, Ultratech Cement by -2.58% to Rs.1,113. Cipla is the top gainer in today's market as strong buying has been seen in the stock. Last month Pharma sector outperformed indices. VEDL is the top loser in today's market as Vedanta Resources plc will delist from the LSE after promoter group made a cash offer to buyout about 33% of the public shareholding in the company. China's exports to the United States in June rose 3.8% from a year earlier in yuan terms, 23.8% points lower than the growth rate seen a year earlier, the country's customs agency said late on Monday. For the first half of this year, customs said China's exports to the United States rose 5.4% from a year earlier compared with 19.3% for same period in 2017. The customs agency did not provide exact values for June and January-June exports or say how exports to the U S fared in dollar-denominated terms. Unfavourable base effect, along with lower production of steel, crude oil & cement decelerated India's eight major industries' output in May 2018, official data showed on Monday. According to the Ministry of Commerce & Industry, the Index of Eight Core Industries (ECI) had risen by 3.6% during the month under review slower than the rise of 4.6% in April & 3.9% in May 2017. "The combined Index of ECI stands at 131.4 in May 2018, which was 3.6% higher as compared to the index of May, 2017," the ministry said in a statement. Its cumulative growth during April to May, 2018-19 was 4.1%. Tata Coffee Ltd. is on the upside while 8K Miles Software Services Ltd. is on the downside.Tata Coffee is currently trading at Rs.126.00, up by Rs.14.10 or 12.60% from its previous closing of Rs.111.90 on the NSE. The scrip opened at Rs.112.00 & has touched a high & low of Rs.134.00 and Rs.110.50 respectively. So far 67,44,878 (NSE) shares were traded on the counter. The current market cap of the company is Rs.2,359.84 Crore. The NSE/BSE group stock has touched a 52 week high of Rs.183.50 on 29-November-2017 & a 52 week low of Rs.109.15 on 22-May-2018. 8K Miles is currently trading at Rs.314.50, down by Rs.77.70 or 19.81% from its previous closing of Rs.392.20 on the NSE. The scrip opened at Rs.340.00 & has touched a high and low of Rs.364.00 & Rs.313.80 respectively. So far 66,48,146 (NSE) shares were traded on the counter. The current market cap of the company is Rs.968.48 Crore. The BSE/NSE group stock has touched a 52 week high of Rs.1,029.95 on 29-November-2017 and a 52 week low of Rs.313.80 on 03-July-2018. The Benchmark indices started the week on a flat note as Sensex rose 30 points & Nifty above 10,700 amid mix asian cues. The equity market traded lower as Sensex fell over 200 points while Nifty below 10,650 amid trade war tension. All sectoral indices traded in red baring IT led by banking & financials, metal, realty & FMCG. Nifty midcap index also traded lower over 1%. In afternoon session market extended losses as Sensex fell 250 points while Nifty struggled below 10,650 ahead of tariff implementation. All sectoral indices continued to trade under selling pressure baring IT. Nifty midcap index continued to underperform frontliners, was down over 1%. In last hour of trade market off days low as Sensex 160 points while Nifty hovered around 10,650. The market ended lower dragged by global weakness. Nifty IT & PSU bank closed in green but all the other sectors ended in red. Nifty midcap index closed lower by 117 points. Sensex closed 159.07 points down at 35,264.41, Nifty down by 57.00 points at 10,657.30. Infosys by 2.34% to Rs.1,337.80, Asian Paints by 2.26% to Rs.1,293, Titan by 1.79% to Rs.894.25, UPL by 0.90%to Rs.624.40, Bajaj Auto by 0.81% to Rs.2,833. Bharti Airtel by -3.52% to Rs.368.50, NTPC by -3.51% to Rs.154.05, Hindalco by -3.45% to Rs.222.55, Adani Ports by -2.85% to Rs.362.50, IBULHSGFIN by -2.58% to Rs.1,113. Infosys is the top gainer in today's market as strong buying has been in the stock & most of the brokerage houses has initiated buy in the stock. Also rupee depreciation will benefit IT companies. Bharti Airtel is the top loser in today's market as selling pressure was seen in the stock as telecom index cracked nearly 3%. Activity in Indias manufacturing sector gathered momentum, improving at the fastest pace in the year so far, supported by the strength in output and new orders. The Nikkei India Purchasing Managers Index improved to 53.1 in June from 51.2 in the previous month, according to a statement by IHS Markit, which compiles the index. A reading below 50 indicates contraction in activity, while a number above it signals expansion. Manufacturing activity in the country has remained above the 50-point-mark for the eleventh consecutive month. The government has collected Rs 95,610 crore from goods and services tax (GST) in June, finance secretary Hasmukh Adhia said on Sunday, asserting that the new tax measure has settled down well and has hardly had any adverse impact on inflation. impact on inflation. GST collection in previous month of May was Rs.94,016 crore and monthly average in the last financial year was Rs.89,885 crore. Receipts from GST had crossed the Rs 1-lakh-crore mark in April due to the fiscal year-end effect and experts say that receipts may again spike in the months ahead as compliance rises and evasion is plugged. CG Power & Industrial Solution Ltd. is on the upside while Jindal Steel & Power Ltd. is on the downside. CG Power is currently trading at Rs.58.75, up by Rs.2.80 or 5% from its previous closing of Rs.55.95 on the NSE. The scrip opened at Rs.56.00 & has touched a high & low of Rs.59.40 and Rs.55.50 respectively. So far 1,12,80,059 (NSE) shares were traded on the counter. The current market cap of the company is Rs.3,778.39 Crore. The NSE/BSE group stock has touched a 52 week high of Rs.99.15 on 12-January-2018 & a 52 week low of Rs.46.75 on 27-June-2018. Jindal Steel is currently trading at Rs.205.70, down by Rs.17.35 or 7.78% from its previous closing of Rs.223.05 on the NSE. The scrip opened at Rs.223.00 & has touched a high and low of Rs.223.15 & Rs.203.15 respectively. So far 1,69,30,391 (NSE) shares were traded on the counter. The current market cap of the company is Rs.20,036.49 Crore. The BSE/NSE group stock has touched a 52 week high of Rs.294.30 on 23-January-2018 and a 52 week low of Rs.114.50 on 11-August-2017. Join Our Nvestor community and get investing insight, stock tips, news & analysis directly deliver to your mailbox. Niveza Editorial Desk : We are a team of stock market nerds trying to stay ahead of the herd. We spend our grey cells everyday to a pave a smooth road for our clients in the shaky world of stock market. While tracking the mood swings of the market we bring our clients the most rewarding deals. SEBI (Research Analyst) Regulations 2014, Registration No. INH000002558. At Niveza India Pvt Ltd., we all come to work everyday to take the challenges of stock market head on and to change people's perception that stock market investment is like a gamble. Over the years, we have built our profile as a company which has brought optimum value to our subscribers through our well-researched stock recommendations. 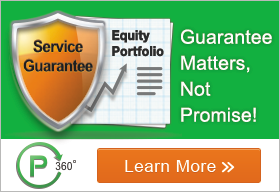 We don't promise you unrealistic returns, we don't chase intraday or F&O dreams. We believe in the ideals of value & growth investment; these values are reflected in our products. We are always marching ahead with the goal to better ourselves. Disclaimer: Niveza does not guarantee the accuracy or completeness of information on the site, nor does Niveza assume any liability for any loss that may result from reliance upon any such information or recommendations. Information and recommendations on the site are for general information only. Nothing contained herein is an offer to sell nor solicitation to buy any securities. © 2019 Niveza Inc. | All rights reserved.